Fan of Korean dramas and spicy Korean food rejoice! Mamee Double-Decker incorporated both aspects into its latest brand film for Daebak, a spicy noodle with Korean hot sauce. The film, which personified Daebak as a female receptionist, was apparently leaked on social media after being asked to be canned. Daebak is a joint venture between Mamee and South Korean company Shinsegae Food Inc. In a statement to A+M, Mamee Double-Decker’s senior brand manager Tan Feng Yin said the team had some “solid ideas” along the way, including personifying Daebak as a female character, and came up with a concept inspired by Korean dramas. However, it encountered external concerns a few days before the official launch. As such, the campaign which was supposed to run from mid-April until the end of May was canned out of respect for its counterparts. According to Tan, Daebak is representative of the “one true pairing” of the well-known Mamee noodle in Malaysia and Korean hot sauce by Shinsegae Food. 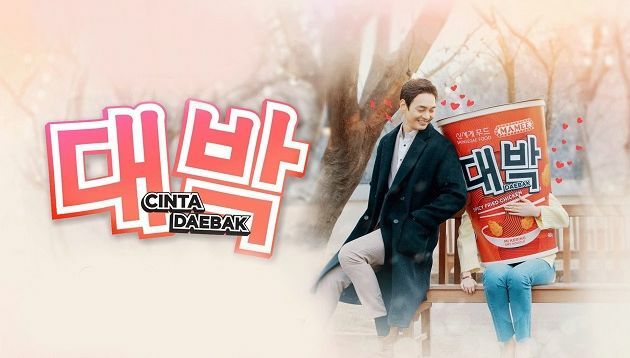 “Daebak is meant to be a delicious and captivating product, that will get people to ‘Pasti Jatuh Cinta’ upon taking their first bite,” Tan added. A Facebook page was also created by an anonymous user to inject additional life into the new product. Tan declined to comment on whether the Facebook profile was created by Mamee, but added that it was creative. The brand video takes consumers on a journey through a typical whirlwind South Korean romance between Daebak and a charming CEO. The CEO fell in love with Daebak at first sight and made attempts to pursue her, by asking if it was haram to flirt with Daebak, or if she was Halal and ready to mingle. The video then cuts to the proposal scene, where the CEO said Daebak is Malaysia’s best and most springy noodles. However, like most Korean dramas, a curve ball is thrown in their way with the CEO’s mother objecting to the marriage and trying to chase Daebak way with a million dollars. In an attempt to run away, both Daebak and the CEO get involved in a car crash. Despite the tumultuous relationship, they eventually get married and the CEO finally gets to “eat the bride”. Netizens reactions to the video have been positive, with many claiming that the storyline was creative and hilarious. What did you think of the video? While I am not a fan of Korean dramas, I have to say it really tickled me. A Millennial who enjoys binge-watching TV shows on Netflix, Janice Tan loves engaging in conversations about history, culture, politics and sports. She also delights in learning new languages, reading and travelling. Easily tickled, she is always on the lookout for witty campaigns, especially those that leverage on pop culture trends. Located in Mong Kok, the Cyber Games Arena spans 25,000 square feet and reportedly cost HK$30 million. It aims to transform Hong K.. In a post confirming the move, the platform explained that the change looks to “strengthen and expand” advertising opportunities ..